Smart financing options, a cutting-edge innovation ecosystem, decades of expertise, a broad talent pool of academics and entrepreneurs, and a strategic location with global reach… These are the five main ingredients of Flanders’ highly developed life sciences industry. Discover how you can benefit from this unique cluster in the heart of Europe. In Flanders, your life sciences business gains access to an innovative ecosystem of top-class universities, academic hospitals, research centers and (bio-)incubators. The region also opens up a dense network of pharmaceutical, biotech and other major industry players to your company. To top it all off, the healthcare industry in Flanders is highly developed and innovative as well. Flanders is ideally situated between the UK (more specifically, the London-Oxford-Cambridge triangle), France, Germany and Switzerland. Each of these four nations has significant strengths in life sciences. In addition, four cities in Flanders – Ghent, Leuven, Antwerp and Hasselt – are home to life sciences research parks that offer highly specialized services and resources. a broad range of training programs at VIB for life sciences researchers that cover emerging research domains and technologies. innovation income deduction – up to 85% of a firm’s net earnings from innovation is tax exempt. 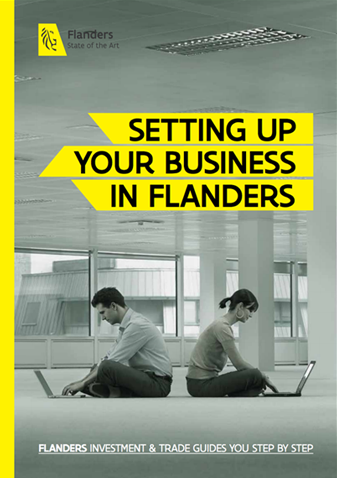 Discover Flanders' tax incentives for R&D activities. … Flanders is home to the largest R&D hub for plant biotech and emerging industrial biotechnology, and boasts the biggest integrated bio-energy production complex in Europe? … Belgium (Flanders) is #2 in Europe when it comes to clinical trials per capita, and boasts one of the world’s fastest approval time for clinical trials? … In Flanders, biotechnology ranks 3rd when it comes to R&D investments?